Are you ambitious or do you just want to relax? One hour spent in the Golf Lounge will get even the longest meeting out of your system. Plus, your golfing skills will improve. Throughout the year, the Golf Lounge offers roofed and heated training areas for both beginners and advanced golfers, a fairway with five greens and one spacious short game area. You get all this without signing a membership. 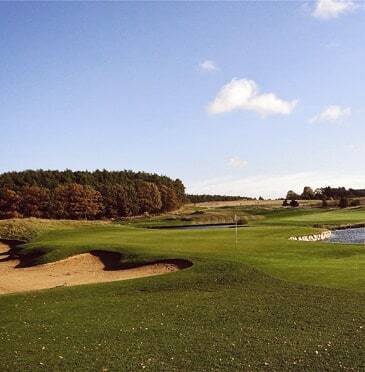 Have you caught the golf fever, yet? Ball card, training flatrate, classes, equipment – It is up to you! 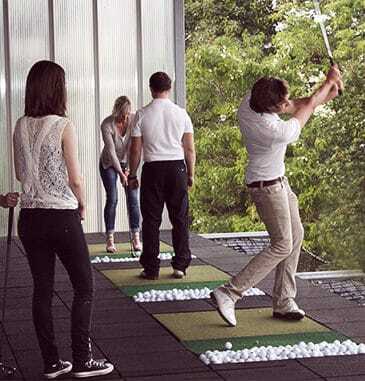 A new city trend just arrived at the Golf Lounge: Golf as the new company sport. 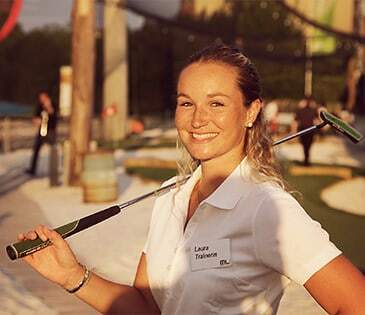 Come together with co-workers and business partners after work and improve your golf skills. It encourages teamwork and besides, learning together is more effective, even if it is not about work. Daily registration is possible on short notice. CHECK-UP HOW FIT ARE YOU? AND HOW FAR DO YOU WANT TO COME? 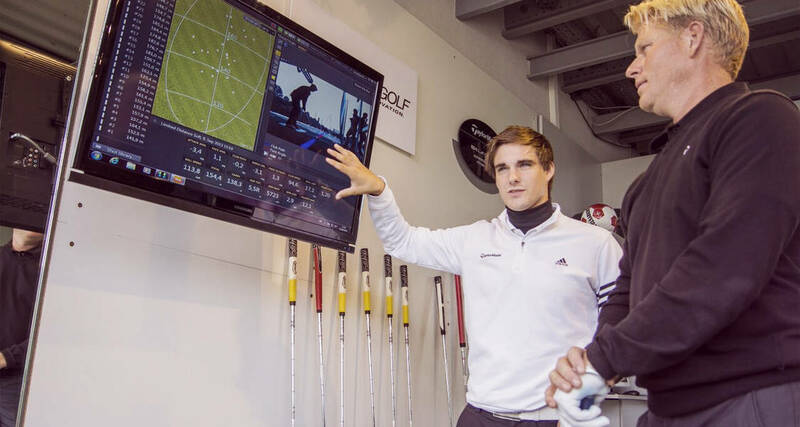 Take the analytic perspective on your golf talent for a moment: Our check-up tells you which skills you developed, already, and which of those could be improved by a more intensive practice. Your individual targets and your personal schedule follow the classic state analysis. You will be surprised how you can improve systematically! 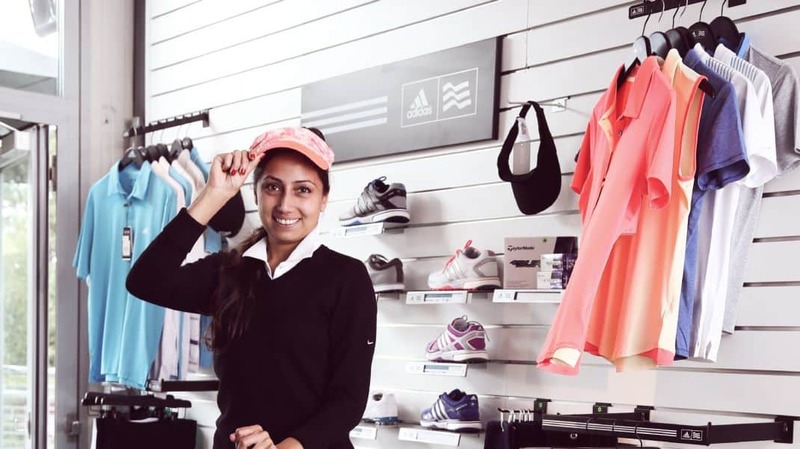 Golf Lounge Professional Jessica knows all about it: the female figure sometimes calls for little tricks to stay in the game with your flight mates at the tee off. Thus, Jessica developed very special and very effective techniques that compensate the lack of physical strength. It’s not a cliché but a lot of fun: So, you might end up having the best talks while sipping on a glass of sparkling wine. Our well-trained teachers for kids know exactly how children learn best: in a playful manner, being challenged just enough and a lot of romping around in the breaks. Parents can enjoy their free time at the lounge bar or the beach club. Do you want to try something new with your friends in the summer? In every school breaks, the Golf Lounge hosts a three or five-day camp, including four hours of golf training and a lunch for boys and girls. Every child from 6 to 12 can participate. We have special offers for children’s vacation camp pass. If you are always on the go and want to stay flexible, then we recommend the long distance membership for a favorable price. 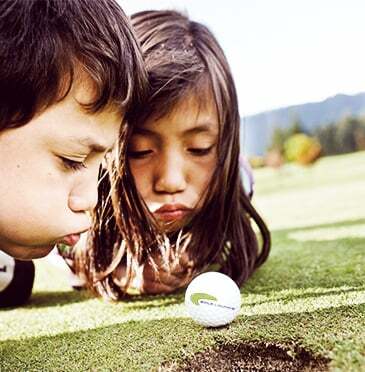 With the Golf Lounge DGV pass, you are free to play golf in every part of the world for just the green fee. 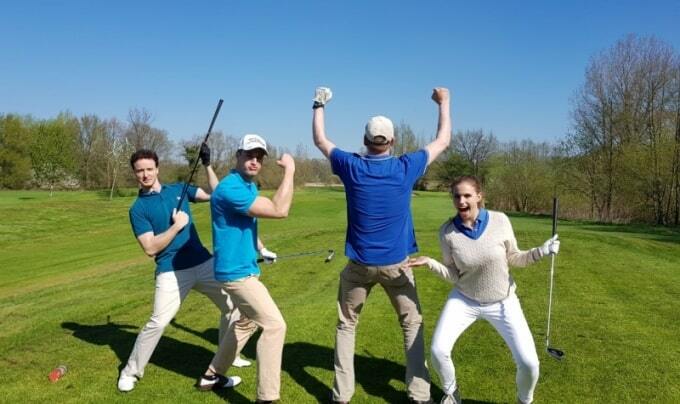 Everyone who feels like it can take part: The Golf Lounge organizes contests just for fun, to enable eating together and give away great prizes. Meet new people or potential game partners. For six-year-olds and older. 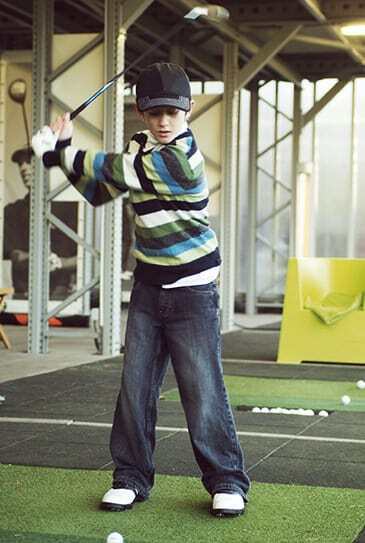 Classes every Saturday from 1 to 2 pm in a group for up to 8 young golfers, 15 € per date/10 times combined ticket for 100 €. Checkup – How Golf – Fit Are You? And how well do you want to be? Go analytically to your golfing talent: In the checkup, we determine which skills are well-trained and which can be supported. Following the classic actual analysis, your target agreement and your individual schedule follow. You’ll be surprised how well you can systematically. CAUGHT THE GOLF FEVER, YET? “Golf? It is a quite expensive and snobby sport, isn’t it?“ Not with us. Just visit the Golf Lounge whenever you want – without signing up for a membership. We give you smile because we have it in our hearts not because you pay for it. 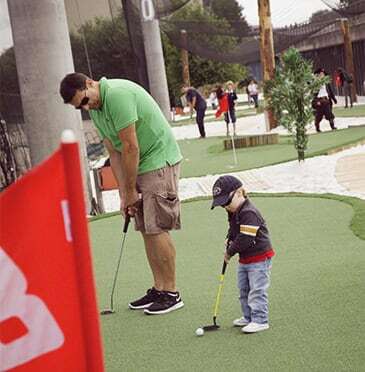 Just try it out: The Golf Lounge trial course is perfect for beginners and right in the city center. 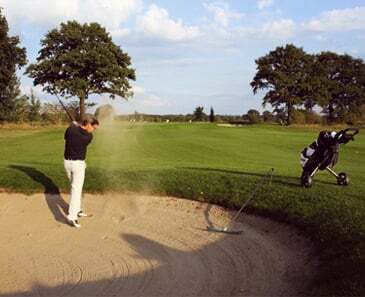 It is a short and easy way to learn about golf and meet new people. Sometimes, it is just about that little shift of the shoulder or a slight rotation of your wrist to optimize your swing. 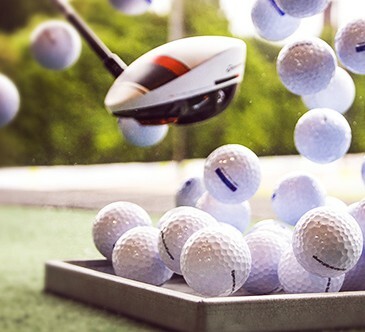 In our high-tech golf lab, we examine the movement of your golf club and the flight of the ball. We explain the results in simple words, so you can increase your progress effortlessly. Just try it out. 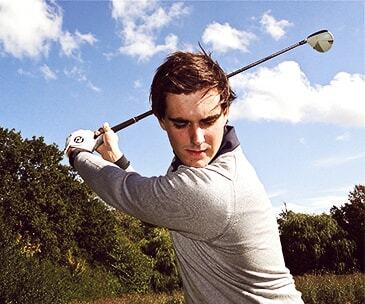 If you want to be the golfer that you always dreamed of, we help you out the best we can. We motivate you, give you helpful tips and let the balls fly. We bring together golfers that can learn easily from each other. The most important thing for us is that you have fun while reaching your goals. For those of you who stayed young, the Golf Lounge has a special offer. It is a special program named Silverclub for people aged 55 and above. 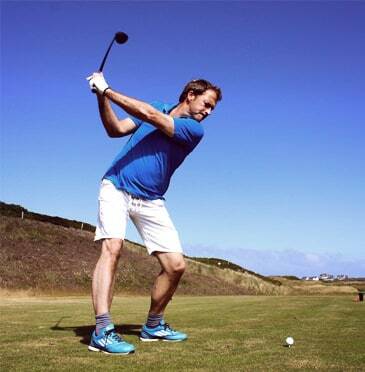 Train for 10 weeks in a laid-back and cheerful environment and practice your golf skills. You just need your trainers. The rest is up to us. You just love a change of scenery and want to leave Hamburg once in a while? Then you benefit from our good relationships to a number of clubs in Northern Germany. It is a great add-on to the Golf Lounge membership and your training in the city. The green fee package includes 9 x 18 holes on a green of your choice – and thus, a great excuse for taking a trip the whole year round. In our trainer forum, you will see a lot of renowned trainers of the national and international golf scene. Listen to what they have to say about technique in their speeches and what they can bring to Germany from the golf scenes all over the world. In the end, there will always be a meet & greet. You are very welcome to take part. Got the Platzreife? Looking for an adequate training? Everyone is welcome, every Friday from 1:30 to 3 pm. 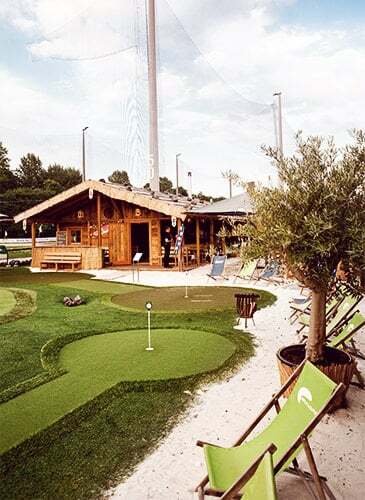 Anyone who feels like it is allowed to participate: The Golf Lounge organizes pure fun tournaments with common food and great prizes – he re in the Golfheimat. Get to know new future game partners. 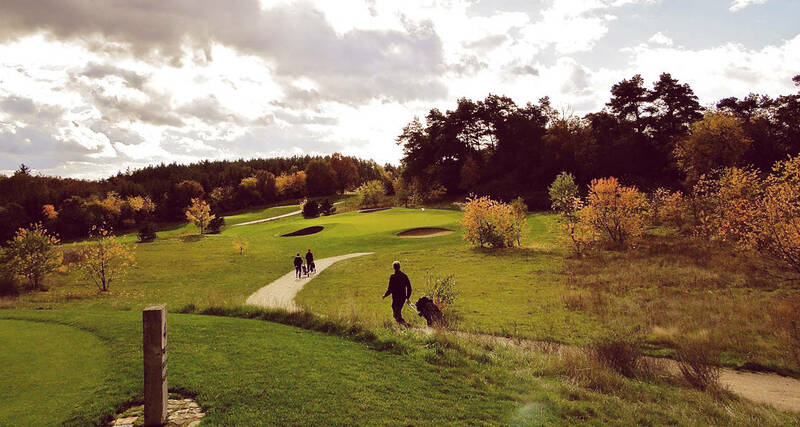 We offer a lot of options for people with little time, with or without golfing experience, who don’t want to take a long ride to play, for the laid-back or ambitious. Just start now! 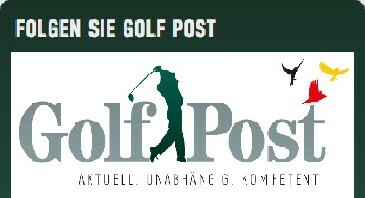 Get the latest golf news from a German perspective. 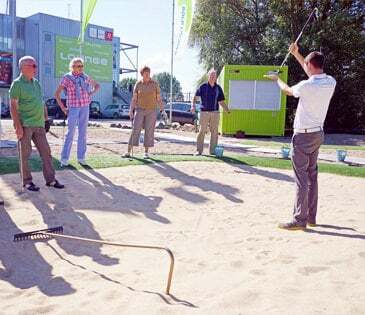 In the Golf Lounge, it is now as easy as never before to earn the Platzreife, your license to golf. Start your training today, tomorrow or on the weekend. You pick the time for the follow-up trainings and choose how often you want to practice. Your course just takes as long as you need until you pass the exam. And the best thing is: Your golf fellows and trainers are quite nice. You get this offer nowhere else: video analysis and homework along with your personal training are part of your Golf Lounge membership. Even without being a member you can book a personal training at any time. The main focus is on you. Your professional is concerned only about your ball flight, your posture, the way you chip and putt. Have fun! You don’t actually have to be a member of the Golf Lounge. 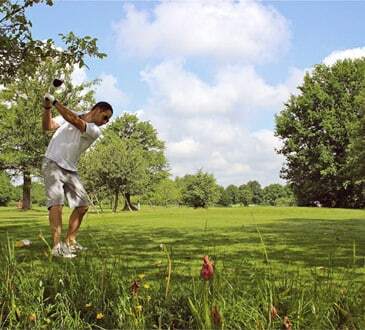 But if you’re really into golf we have a few offers – even for nonresidents. So, the training is included pro-rata, just like unlimited teeing off on Fridays (holidays excluded). Just tell us when and we make you a member. 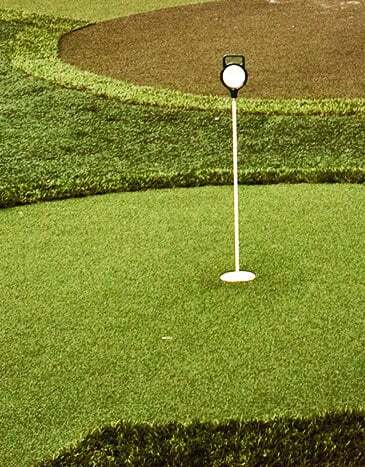 Putting is precision work in your head, as well as teeing off. How do you stand in front of the ball? How do you coordinate weight shifting? The SAM labs give you real-time feedback on all of the relevant parameters of your putting movement and weight shift right in the moment of your swing. 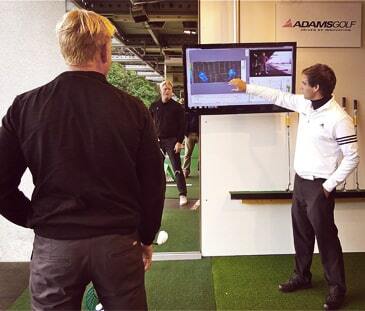 With this high technology, you can improve your game up to the highest precision. Take the chance before and after your workout to train short game and putting on the 9-hole pirates course. After that, you can enjoy a cool drink or yummy bratwurst at the beach bar, right on the spot.